During a career in university academia, followed by years of teacher training throughout the Southwest (mostly at Navajo BIA and public schools), Dr Harold Finkelstein began collecting and trading Zuni and Navajo jewelry and crafts. Eventually, he focused his time and energy buying directly from Native American artisans and selling to galleries, museums and specialty shops. He is still actively trading and selling throughout the country, as well as working with carvers, to produce new and different images and techniques. For more than 15 years he has been living amidst the scenic, high-desert ranching communities of historic Lincoln County in south central New Mexico, near Ruidoso, regularly traveling to buy from artists. He has been selling for more than 30 years under the company name, South West Connection, mostly as a traveling trader, logging over 40,000 miles a year. 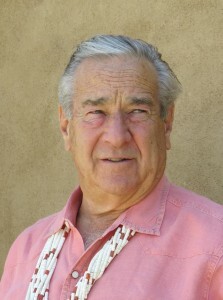 His specialty is high-quality, upper-end contemporary Zuni jewelry, Zuni fetishes and Zuni fetish necklaces, as well as heirloom Native American vintage jewelry and Kewa necklaces. In 1994, he published a primer, “Zuñi Fetish Carvings”, which helped explain and promote the fascination and continuing interest in fetishes. He is considered to be one of the few experts in the field of Zuñi fetishes. Harold’s daughter Amy has recently begun working with him to sell his extensive and large personal collection to the general public. Zuni fetishes and jewelry have been part of Amy’s past. Even as a child she admired the workmanship and personality of fetishes. She is an avid collector as are her own young children. Amy has visited Zuni numerous times over the years and knows many carvers and jewelers. 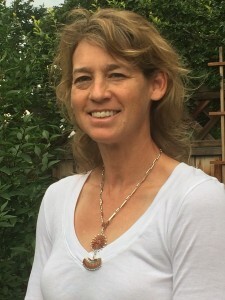 Over the past 20 years Amy has been working in sports management and marketing with women’s professional soccer and youth soccer primarily in Colorado. Amy will be assisting her dad in all aspects of this venture.